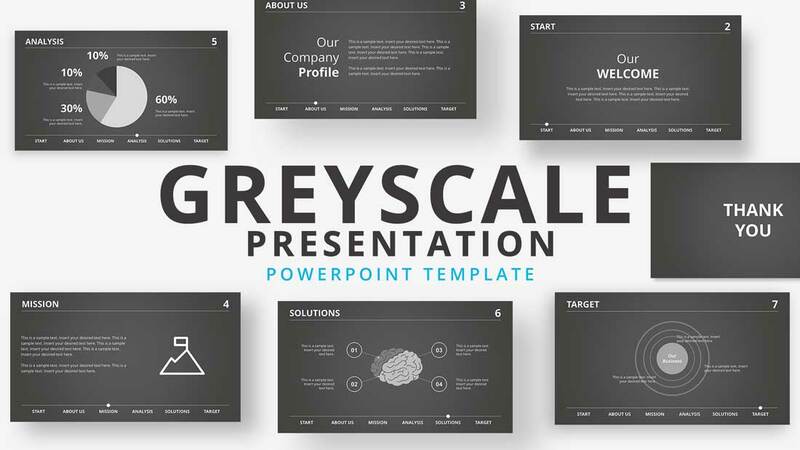 The Grayscale Business PowerPoint Template is a company introduction presentation. 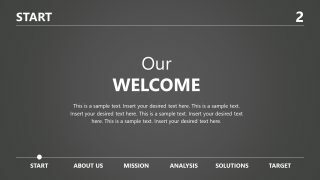 It is a simple PowerPoint theme of dark gray color. 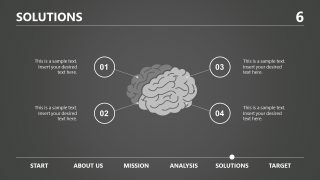 This particular business presentation theme is designed to deliver more textual content. But it also includes clipart icons to represent a number of management and business topics. 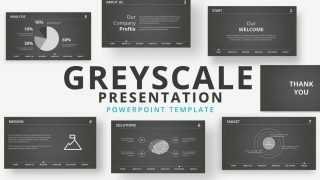 The special feature of this grayscale template is timeline at bottom to demonstrate a sequence of slides. 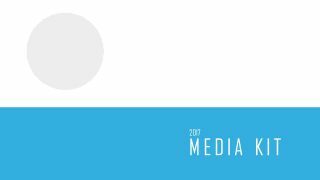 With the help of this timeline design, audience will know what to expect next. 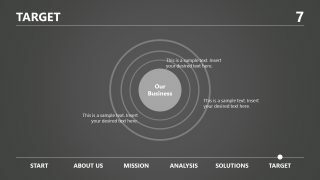 It is a pre-designed business presentation to impress the company’s stakeholders. 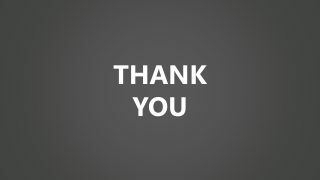 Like team members, investors, or business partners. 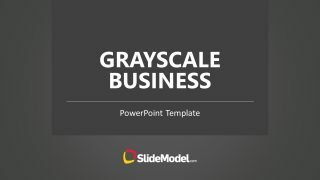 The Grayscale Business PowerPoint Template is a professional design to benefit users of various industries and fields. Such as project management, planning, marketing, proposals, and sales pitch. 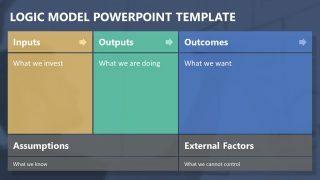 Although it is an ideal business PowerPoint for startups to support textual content of their new company introduction. The established businesses can also benefit from this grayscale theme. A simple and elegant layout gives a competitive edge to portfolio presentation while saving time on developing presentation from scratch. 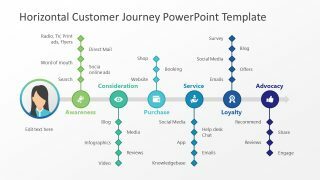 The SlideModel has a wide collection of business presentations including latest infographic technology PowerPoint template and Nativa PowerPoint Template. 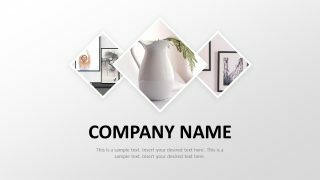 Not only the company’s introduction, but users can also discuss project plans, marketing strategies, revenue and growth concepts using appealing graphics. 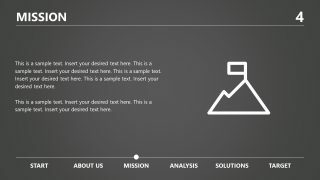 The editable PowerPoint template of grayscale business presentation starts with following sequence as available above: Start (Welcome) – About us – Mission – Analysis – Solution – Target – Thank you. 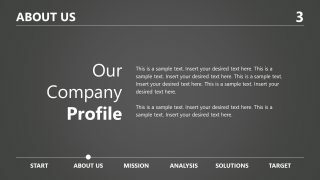 The users can make multiple changes in design including shape sizes, font, and effects. They can also replace a grayscale color with another theme. And to do so, go to design menu and select the color option under variants. 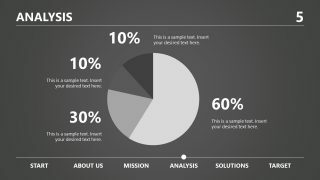 Furthermore, the pie chart in analysis slide is a data-driven chart. Therefore, users can simply update it by editing data values.